Gili islands consist of Gili Trawangan, Gili Meno, and Gili Air. These islands are located on the North Lombok Regency and are under the North Lombok administration. Gili Trawangan is largest and the most developed between the three Gilis. Gili Meno is a tiny island which is located in the middle or between Gili Air and Gili Trawangan. While Gili Air is the closest island to the mainland of Lombok. The three Gilis are most visited and the main tourist destinations on the North Lombok. 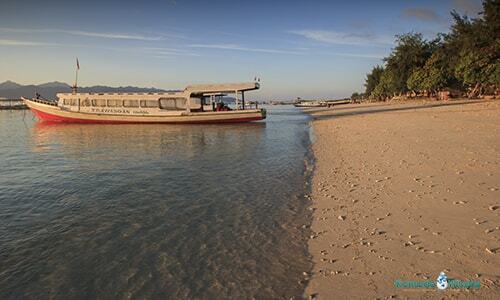 Gili islands also recognize as the party islands, especially Gili Trawangan and Gili Air. 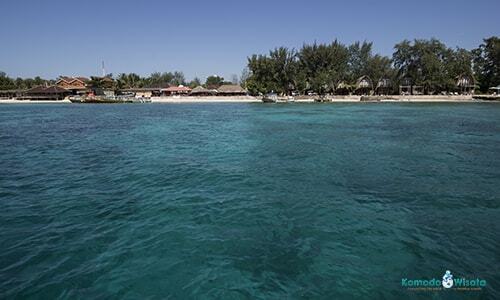 While Gili Meno is a much relax island to spend on your holiday. Ferry from Padang Bai - Bali is leaving every one hour. You can get the ticket on the official ticket office at the harbor in Padang Bai. The ferry from Bali spends about 5 to 6 hours to Lembar - Lombok. After that, you can get on the car or Bemo to Bangsal, then get on the local boat. It will spend about 10 hours from Bali it total. Flight from Denpasar or Jakarta to Lombok International Airport. If your flight from Denpasar, you need to spend about 35 minutes on the flight. And then getting ton the taxi to Bangsal for about 1 1/2 hours. Then take a local boat. Fast Boat from Bali to Gili is the best option for the most traveler. It will spend 1 1/2 hours to 2 hours from Padang Bai or Benoa harbor. Check out Gili Fast boat for the best tickets price and fast boat arrangement from Bali. What to do on Gili Islands? The islands are popular with underwater life, white sandy beaches, stunning sunset, and the beautiful sunrise. So it is mean most you will do is water activity. Diving and snorkeling are the recommended activity. Diving on such a paradise island with the beautiful underwater life will bring a new experience on your dive skill. See some of our dive package in Gili Trawangan. Having sunset on the Southwest the islands. It is one of the stunning sunset points in Indonesia with the background of Mount Agung-Bali. Having sunrise with the background of Mount Rinjani. Night Life. The islands offer a good nightlife vibe. In some Bars and cafe', you can enjoy the live music, DJs or dance floor. Authentic food is available on the islands. Some restaurants provide authentic local foods. Accommodations on the islands are spread around, from backpackers to the star hotels. You are also able to do a Komodo island trip from Gilis. We arrange the 4 days 3 night Komodo Trip from Lombok. What you can do is book online, then we can pick up you from the harbor on Gilis. The Komodo trip boat is leaving from Bangsal every Monday, Wednesday, and Saturday.